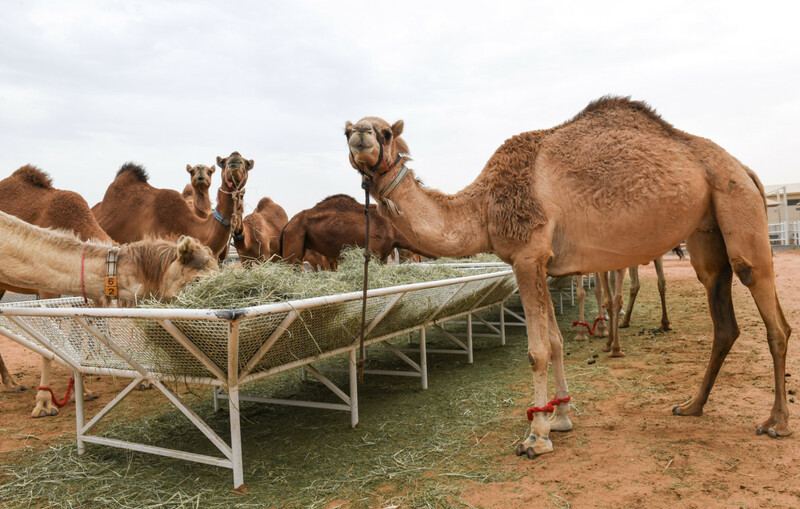 Dubai: Beating all odds and defying her critics, Injaz, the world’s first cloned female camel, celebrated her 10th birthday in Dubai on Monday. Injaz, meaning achievement in Arabic, came to life at the Reproductive Biotechnology Centre in Dubai on April 8, 2009, following five years of dedicated research and development in in-vitro fertilisation (IVF) and somatic cell nuclear transfer technology (cloning). The state-of-the-art centre run under the patronage of Shaikh Hamdan Bin Mohammad Bin Rashid Al Maktoum, Crown Prince of Dubai and Chairman of the Dubai Executive Council, has made rapid inroads in sophisticated cloning, IVF and other techniques to preserve pure breeds and high performance animals such as camels, dogs and sheep. Created from the cells harvested from the ovary of an adult she-camel from an abattoir in Abu Dhabi, the camel literally grew from the somatic skin cells, cultured in a petri dish and later transferred to the womb of a surrogate camel. On her birthday, Injaz, who is expecting her third calf, happily chewed on hay, fluttered her eye lashes and fawned over her creator, Dr Nisar Ahmad Wani, scientific director of the centre. She was later treated to a ceremonial cake cutting event where the rest of the staff at the centre sang ‘happy birthday’ to her. The normal life span of a dromedary camel is about 40 years and Injaz at 10 years is still very young. life span of a dromedary camel, so Injaz at 10 years is still very young. Her good health and successful fertility have proved that cloning can produce camels that are as normal as the biological camels said Dr Wani. “This technology can be extended to further the life span of any endangered species. For instance the Bactrian camel which is endangered may no longer be so. All I need is a few skin cells from the camel’s ear and I can clone as many Bactrian camels as one wants,” said Dr Wani. However, cloning can cost anything between Dh200,000 to 400,000. Skin cells via a normal biopsy usually taken from the behind the ear of a camel are collected in a petri dish and placed in a culture to grow in an incubator in the laboratory. These are synchronised somatic cells and they multiply at a fast rate. Their growth is controlled in the incubator. Separately, the egg from a normal female camel is extracted using guided ultrasound aspiration method. The nucleus from the egg is removed and genetic material from the cultured skin cells are placed within the egg. These cells are reprogrammed using an electric current turn into active embryonic cells. Once these embryonic cells begin dividing, the egg is placed back into the uterus of a surrogate camel and the calf is delivered normally like any other biological camel at full term. A camel pregnancy has four trimesters normally so the calf takes a whole year to be born. Other than cloning the centre also follows other In vitro fertilization techniques such as Multiple Ovulation and Embryo transfer into surrogate wombs and the Intra Cytoplasmic Sperm Injection method.